If you are charged with reckless driving in Virginia, you need to know about improper driving in VA.
It’s a statute that enables the judge to give you a break down to a traffic infraction, instead of a class 1 misdemeanor. Hello, I’m Andrew Flusche. Today I wanted to talk to you about improper driving in Virginia. Improper driving is a really interesting statute (§ 46.2-869) that traffic defense attorneys use quite frequently, and judges use. It’s a statute that says if you’re ever charged with reckless driving, no matter what kind of reckless driving it is, then if the culpability of the defendant is slight (in other words, it’s kind of a minimal case) the judge can reduce the charge to improper driving. The prosecutor also has that power, to amend the charge to improper driving. Improper driving is specified in the Virginia code under section 46.2-869. That’s basically what it says, it’s a very short statute that says in any case of reckless driving, the judge or the prosecutor can change it to improper driving where it’s a lower level. The penalties for reckless driving, which is a class 1 misdemeanor, are a maximum $2500 fine, up to 12 months in jail, and up to 6 months loss of your driver’s license. Improper driving is a much lower penalty. It is just a traffic infraction. The statute says that it can be punished by a fine of up to $500. No jail time is possible and no license suspension is possible. How many points is improper driving in Virginia? The points are also very different. 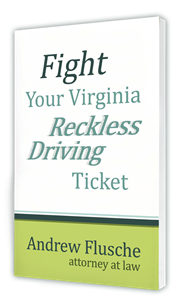 If you get convicted of reckless driving in Virginia, you’re looking at 6 points if you have a Virginia license and that conviction would stay on your driving record for 11 years. If we can get the charge down to simply improper driving that is just 3 points off your VA driving record and it goes away in 3 years. So as you can see it’s a very big difference from reckless driving, which is on the same criminal level as a DUI, versus improper driving which is on the same point level as very basic traffic ticket. You can get kind of a large fine, up to $500, but the actual conviction itself is a very low level conviction. What kind of cases might be changed from reckless to improper driving? In some courts, if you’re charged with reckless by speed and it’s a borderline speed, that might be converted into improper driving if we can present a good driving record, perhaps driving school, a calibration, and lots of mitigating evidence; that’s many videos by themselves. If it’s a borderline case for speed the judge might do improper driving. We can do that a lot of times in Stafford, Spotsylvania and Fredericksburg cases where I practice depending on the speed you’re charged with, your record and all the facts of your case. 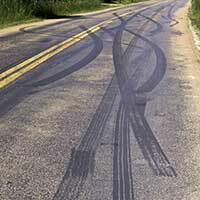 Sometimes we can get a reckless driving by speed reduced to improper driving. The other kinds of reckless driving that you see a lot of that might be reduced to improper driving are accident cases. So if you have an accident where it may be pretty clear that the defendant is at fault and you really did do something wrong, the Trooper or the deputy who comes out is going to charge you with reckless driving in many cases, because that’s all they can charge, they cannot write an improper driving ticket. But then when we get to court we present the evidence of the case. We present your driving record and explain any mitigating factors. The judge may very well reduce that accident charge down to improper driving. That says that you’re still at fault, you did wrong, but it’s not a very serious offense. It’s more like just a traffic ticket like following too closely. So improper driving is a very good tool that we use and a lot of cases might be able to be reduced to improper driving. It just really depends on the facts of each case and also how judges like to handle them and the prosecutors. Improper driving is not a right or anything but it is another tool in our tool box. We can try to get your case reduced to improper driving, to save you from that reckless driving misdemeanor conviction and from all those points and fines and punishments. So definitely keep that in mind and consult with an attorney and see if improper driving might be possible in your case, or maybe even a better result than improper driving.